As each step of the Rite of Christian Initiation of Adults is approached, time is needed for listening for God's presence. This period of discernment allows the inquirer, the catechumen, or elect, a chance to consider how God is acting in his or her life and where God is calling the individual. 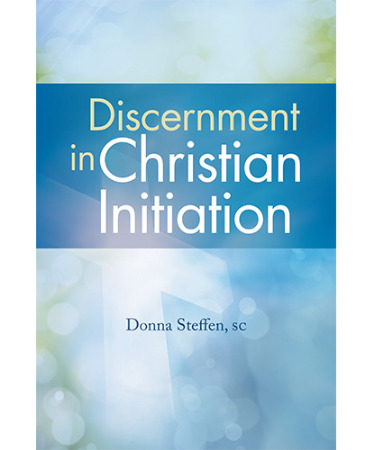 Discernment in Christian Initiation assists initiation ministers with guiding people to listen to what God is doing in their lives and where God is leading them. The resource also aids initation ministers as they help catechized and uncatechized baptized Christians seeking to be received into the Church to discern God's movement in their lives. A chapter focused on children provide initiation ministers with an understanding of how to discern the reasons for initiation with the parents and child as well as the needs of the child. This volume is an invaluable reference for sponsors and other guides who journey with RCIA candidates. It describes the decision-making process and how people have experienced it. The book serves to improve the listening skills of guides and helps them ask the right questions at the right time. The appendix contains specific suggestions for interviews during the four stages of the Christian initiation process and offers a format for a discernment day before the Rite of Election.